When the National Institute on Drug Abuse turned its sights on the mechanism of cannabinols and their endogenous analogues such as anandamide in the brain, they were disappointed to find that the dopamine model they relied on to explain drug abuse and addiction seemed to let cannabis off the hook. The modest uptick in dopamine levels produced by pot confirmed what the old hippies saw, marijuana is pleasurable, but not particularly addictive. More recent work tracing the pathways of another neuro-transmitter, glutamate, has further explicated the question of marijuana’s addictiveness. Familiar to aficionados of cheap Chinese food as mono-sodium glutamate (MSG), it performs multiple functions throughout the brain and the body involved in long-term learning and memory and as a kind of natural stimulant that takes the brakes off” metabolic processes, causing everything to burn hotter. In 2001 a Swiss researcher, Francois Conquet , made an interesting discovery with “knock-out” mice who had been bio-engineered not to have a particular glutamate pathway called m (for messenger) GluR5. Mice with no mGluR5 could not be trained to self- inject cocaine. This is highly significant because elimination of dopamine transporters and receptors in other knock-outs still left them able to be addicted through cocaine’s rewarding effects on serotonin. Microdialysis recorded the same dopamine spikes in both wild mice and the mGluR5-deficient ones, but soon after the researchers substituted intravenous cocaine for food, the mGluR5 knock-outs stopped pressing the lever. Their affinities for food, water, mating were unaffected; but cocaine could no longer “fool” the knock-outs into accepting it as a replacement for food, water and mating . In Colorado Springs, the Chairman of the University of Colorado Biology Department is Bob Melamede . Dr. Melamede teaches a whole course on medical marijuana. Central to his thesis is the finding that cannabinols and the endogenous neuro -transmitters they mimic are glutamate antagonists; but not the kind of noncompetitive antagonists , like ibogaine , that come along to “plug the hole” after inonotropic glutamate receptors have opened up to let minerals through the cell membrane. Instead, cannabinols and anandamide act to “ backsignal ” along the metabotropic glutamate pathways that work (like mGluR5) through the second messenger systems and modulate signals of other neurotransmitters. What cannabinols do is to tell glutamate-firing cells to chill out, to stop firing so much glutamate, an effect that is necessary whenever too much glutamate causes cell processes to burn too hot. Melamede believes the original evolutionary function of anandamide was to control inflammation, and that its role in the body and nervous system grew as glutamate came to be used to do more and more things. So beyond the question of cannabis addictiveness, an understanding of glutamate mechanism has important public policy implications regarding marijuana, tobacco, and carcinogenesis. The oftrepeated myth that “one joint is 3 (or 10) times more carcinogenic than a cigarette”—based on the resin content—collapses upon consideration of the role of chronic glutamate inflammation of the linings of the lungs in generating the free radicals that attack the DNA of immune cells in these linings. Like white blood cells, these immune cells are there to attack pathogens (the lungs are a big vector for infection) that come their way. The truism that cigarettes are more addictive than heroin becomes a lot easier to understand when we remember that the mediating neurotransmitter of the nicotine high is glutamate. Once you acclimate to the nicotine, so that it no longer makes you sick, its primary “cascade” effect is a quick fix of glutamate, lasting no more than 5 or 10 minutes, which has the effect of calming the addict down while giving them a lift. Typically, because it potentiates long term memory, writers use it to finish articles. In the lining of the lung, however, nicotine has the perverse effect of putting the damaged immune cell into kind of suspended animation, blocking apoptosis, or cell death. What happens if you keep a damaged cell alive while filling it with free radicals produced by chronic glutamate inflammation ? Eventually you get bad genetic code, the cell goes cancerous and starts migrating all over the body spreading that bad code. Which is why smokers end up with cancer in some of the strangest places. It has been estimated that the average New Yorker breathes in pollutants equivalent to a pack and a half of cigarettes every day. But without the key co-factor of the nicotine, they do not get lung cancer at anything like the rate of packand -a-half-a-day smokers. We all have multiple redundant natural immunities that block the sea of crap we breathe from giving us cancer. Indeed, the crowning blow to the prohibitionist argument that burn products, not nicotine, cause the cancer is the widespread incidence of cancer of the lip and gum among people who chew tobacco. There are no published reports of stomach cancer from marijuana brownies. Beyond the reports of direct cannabis efficacy against certain kinds of tumors, the mechanism of action of cannabinols is 180 degrees opposite of nicotine: anti- glutaminergic , anti-inflammatory. That is why cannabis is prescribed for all kinds of inflammation and auto-immune disease. So regardless of the amount of tar or burn products—and meaning no disrespect to the vaporizer advocates—with cannabinols instead of nicotine in the mix there’s nothing to “turn on” the carcinogens therein. The final bit of confusion that can be cleared up here is the widespread fallacy, based on the outdated notion marijuana works like alcohol, that pot is a major cause of accidents. Once again, mechanism of action confirms the epidemiological studies that already show people drive, if anything, more safely on cannabis. Where cannabis has its very own receptors, alcohol works by unleashing a flood of endorphins in response to major trauma caused by ethanol stripping the myelin sheaths of the nerve cells. From there the addictive process is straightforward, with the endorphins engendering a dopamine spike, which eventually locks in the mGluR5 pathway and so on. But while the trauma is occurring, and you’re drunk, you ability to function is severely damaged in a way that just doesn’t happen with a mild glutamate antagonist working through its own specific set of receptors. Considered from the public health standpoint, cannabis is more often than not a replacement for alcohol and other drugs. When cannabis use goes up, alcohol use goes down. And because the cannabis effect is NOT incapacitating like alcohol intoxication (every single study to date shows no significant impairment of driving, for instance) the effect of the substitution of cannabis is the saving of lives. Economists Frank Chaloupka and Adit Laixuthai , at the University of Illinois at Chicago , estimate that cannabis decriminalization would reduce youth traffic fatalities by 5.5 per cent, youth drinking rates by eight per cent and binge-drinking rates by five per cent. Other evidence suggests we would see similar declines in emergency-room drug and alcohol cases. Harm reduction approaches to cannabis have focused heretofore on the market separation of cannabis and other illegal drugs. According to Dutch government facts-sheets, out of the total population of 727,000, Amsterdam has around 5,100 hard-drug users. The primary thrust of policy is to discourage the use of drugs, and to combat the trade in drugs. The authorities also seek to minimize the risks incurred by drug users and to reduce as far as possible the nuisance factor for the general public . In the context of use, Amsterdam ’s drug policy differentiates between hard and soft drugs, i.e. : cannabis is available, but at locations where no other illicit substances may be sold, and this “market separation” is strictly enforced. Of some 5,100 hard-drug users, around 2000 are of Dutch origin, with some 1,350 having roots in former colony of Surinam , the Netherlands Antilles and Morocco . Around 1,750 users come from other European countries, mainly Germany and Italy . The total number of hard-drug users is steadily decreasing, while their average age is rising, from 26.8 years in 1981 to 39 years in 1999. In the same period the total number of drug users under 22 years of age dropped from 14.4 percent to 1.6%. The singular flaw of the Dutch system from the standpoint of nicotine carcinogenesis is the almost universal practice of smoking cannabis mixed with tobacco a habit that totally undermines the health benefits of smoking pure cannabis. It will be a hard habit to break, considering the basic chemistry involved. A better understanding of the mechanism of marijuana as a glutamate antagonist versus the licit glutamate agonists, alcohol and nicotine, raises the interesting prospect of the next logical step for our worldwide movement being not strictly medical, but public heath marijuana. In a generation or less, all carrots and sticks of public health policy may be enlisted in a conscious effort to REPLACE alcohol and cigarettes with a marijuana monoculture, and to REMOVE all cannabis opponents from any role in setting that policy. The benefits of saving up to 600,000 lives a year from cancer and auto accidents in the U.S. alone will make the switchover well worth it! ** I will explain the health benefits of melatonin supplements for regular cannabis users in my next article. 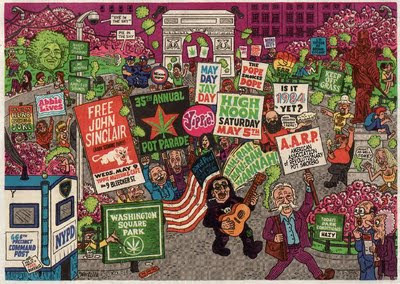 Dana Beal, organized the first marijuana protests during the summer of love, 1967. He was a founding member and chief theoretician of the Youth International Party, started the YIPster Times after the Miami Convention protests in 1972 and crusaded for marijuana legalization in the 70’s. He collaborated with Tom Forcade , founder of High Times, changed the name of the paper to Overthrow in 1979, started Rock Against Racism in December 1980, he initiated an Ibogaine project with Howard Lots in an effort to make this addiction interrupter available to addicts everywhere. 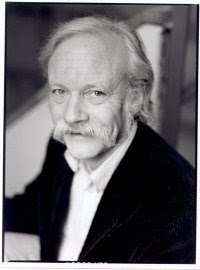 He published the Yippie anthology, Blacklisted News in 1983, advocated medical marijuana for AIDS patients in 1986, joined ACT UP in 1988, pushed Ibogaine through ACT UP and NIDA until he was unmasked as a medical marijuana activist after a short prison stint in ‘93, co-founded Cures not Wars, started NYC Medical Marijuana Buyers’ Club with Johann Moore in 1995. Beal published the Ibogaine Story with Paul DeRienzo in January, 1997. Dana was part of the Wheelchair Walk for Medical Marijuana from Boston to D.C. in fall 1997, brought Ibogaine to U.K. in 1998, initiated the Million Marijuana March in 1999 and co-sponsored First International Ibogaine Conference at NYU in November, 99.
in coordination with politically motivated federal targeting of political dissidents? Was Dana Beal targeted by the Feds? SAUNDERS COUNTY, Neb. -- Police officers in Ashland, Neb., seized 150 pounds of marijuana during a traffic stop Wednesday night on Highway 6.The seizure was the largest in Saunders County history, said Ashland police. Investigators say the record discovery was made late Wednesday, several miles away from Interstate 80..I-80 has long been known to authorities as a drug pipeline, but as state and local law enforcement agencies step up enforcement efforts along the interstate, smugglers appear to be turning to back roads. "They also come down the rural highways trying to avoid the interstate," Ashland Police Chief Mark Powell said. That, he said, is exactly what one of his officers encountered near the city limits, miles away from the interstate.He said the incident started when police stopped conversion van driving erratically. When the officer approached the van and saw several bags of marijuana in plain view, he called for assistance, police said.Powell said multiple agencies responded to that call. The drugs were in duffel bags found throughout the vehicle, police said. "Further investigation revealed 150 pounds of marijuana that was loaded inside the van," Powell said.Ashland police said Saunders and Cass county sheriffs' deputies helped in the seizure. Three men in the van were Christopher Ryan, Irvin Dana Beal and James Statzer.All three are being held in Saunders County Jail and are suspected of drug possession with intent to deliver, officers said. They all face charges of possession with intent to deliver. Beal is a political activist who has advocated for marijuana legalization in the U.S. Powell said the bust is a reminder that I-80 isn't the only route on which authorities need to be alert for drug traffickers." Luckily, we have people around who are watching there, as well," Powell said. Authorities said Ryan and Statzer are being held on $100,000 bond each. Beal is being held on $500,000 bond. No elaboration (nor police video of the incident) is given about the pretext for the initial stop, within reports brandishing the police characterization of roads as "drug pipelines" - suggestive of police not looking out for traffic violations but rather the seizure of contraband 'drugs'. Nor is it disclosed if the incident involved newer technologies increasingly used since 911, such as license plate and facial recognition cameras, various RFID chips (readable by all of those recently reconstructed truck weigh stations), and cell phone GPS tracking), under the guise of fighting terrorism via the PATRIOT Act (drafted at the Jesuit Order Georgetown University). Such advances in data gathering, collection and analysis are potentially useful tools for those within a government to abuse in subversion of the U.S. Constitution's 1st Amendment guarantee of free speech, via subverting its 4th Amendment prohibition against warrantless searches, and are likelier to occur in an environment lacking sufficient checks and balances., as that engendered by courts that betray their mandate by placing the Constitution beneath statutes, such as by routinely accepting boilerplate police testilying -- including that the police video of the incident was "just grey static" -- to perpetuate illegal seizures. New York marijuana activist Dana Beal has been arrested again in the Midwest, this time. Nebraska police apprehended Beal and two others in a van on Wednesday in Ashland near Interstate 80 (just West of Omaha) after the vehicle was stopped for driving erratically. Bail was set at $500,000. Beal was last seen in San Francisco at the NORML Conference. Presumably, he was driving back from California when the bust took place. The Cures Not Wars founder has had numerous run-ins with the law, the most recent of which came last June when Illinois authorities confiscated a small amount of marijuana and $150,000 from him. This past May, Beal pled guilty to the pot charge and paid a fine, but the cash was not returned. 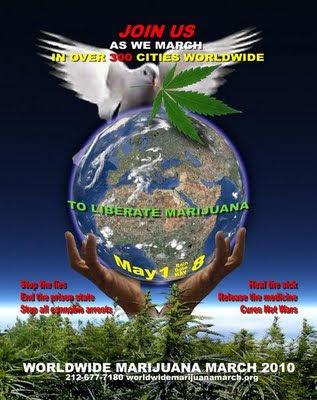 Beal organizes the annual Global Marijuana March each May. WHO IS IRVIN DANA BEAL? According to his brother Charlie Beal, Beals roots trace back to the Charlmagne and the Hessians. One of his ancestors signed the Declaration of Independence so it is no surprise Beal has been a fighter for the Bill Rights and was able to prevent encroachment on it by the evil Mayor Giuliani. This case set an important precedent regarding the right of peaceful assembly. 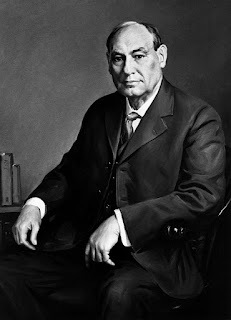 Beal's father was the archivist for the State of Michigan. Dana has traveled internationally promoting Ibogaine, which many former junkies say helped them kick dope and which clinical tests have shown to effective in resetting heroin receptors. His last trip was to New Zealand. A pro-cannabis group is pushing for the introduction of a hallucinogenic-type drug as a treatment for P addiction. 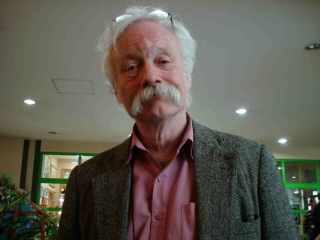 American drug law reform campaigner Dana Beal will today address a public forum at the University of Otago on the use of ibogaine, a drug which sends people into a dream-like trance for several hours. Supporters say it reduces craving and leads drug users to confront their drug-taking behaviour after one or two doses, with the help of psychotherapy. Ibogaine has previously been used with heroin addicts and is now being promoted as a weapon against pure methamphetamine. However the drug is banned in some countries, including the United States and Europe, because of its hallucinogenic properties. Dr Fraser Todd, a senior lecturer at the National Addiction Centre at Christchurch Medical School, said the main problem with ibogaine was a lack of clinical trials to prove its safety and effectiveness. It worked in a similar way to ketamine, a drug which had been tested overseas and could be trialled soon in New Zealand. "If that drug [ibogaine] doesn't have long-lasting side effects from a one-off use and does fix addiction, that's potentially a major addition to our armoury." But drug education campaigner Mike Sabin said the drug could be especially dangerous for the many methamphetamine users who took other medication for mental illnesses. "There's a lot of things to be ticked off before you could say this could be safely administered." Mr Beal, 62, a longtime marijuana legalisation supporter, has been brought to New Zealand by the National Organisation for the Reform of Marijuana Laws New Zealand. President Phil Saxby said ibogaine had some side effects on users but so did medicinal marijuana and aspirin. "If you banned everything because it had side effects you'd never do anything." Auckland psychotherapist Dr Tony Coates, who would like to use the drug as an addiction treatment, said he had tried it himself and found it was "everything it was cracked up to be" in personal accounts on the internet. He said most ibogaine users remained fully awake but went into a dreamlike trance for five or six hours. Addicts confronted vivid memories of the experiences which led to their drug taking and could discuss these afterwards with a counsellor. Ibogaine also removed craving for other drugs. Dr Coates said ibogaine appeared to have no legal status in New Zealand but Medsafe had told him it would have to be registered as a medicine before he could give it to patients. There had been no large-scale clinical trials of the drug and he had found it difficult to interest anyone in starting one. The rarity of a seizure of such size on a road so close to the parallel I-80 (see the "6" shield just east of Lincoln and nearer to Ashland in the above Nebraska road map CLICK TO ENLARGE), with Beal's notoriety with the criminal mercantilist ruling class, his previous MJ 'law' convictions, the new tracking technologies developed by DARPA, the vindictiveness of authorities within the U.S. prosecuting pro MJ activist Marc Emery, and the timing after Beal was publicly seen a few days earlier at the NORML conference in San Francisco, can make one quite reasonably ask did this unfortunate incident resulted from criminal federal officials relying, via their FUSION centers, a "tip" to local police? Interstate 80 through Nebraska has become infamous as a drug pipeline. However, a highway which runs parallel with I-80 proved to be a pretty good catch for law enforcement Thursday night. An Ashland police officer pulled over a vehicle on Highway 6. Three suspects were arrested after 150 pounds of marijuana was found hidden in duffle bags throughout the vehicle. 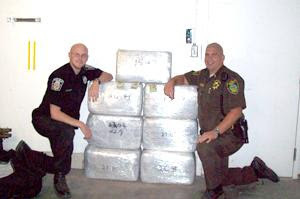 The Saunders & Cass County Sheriffs departments assisted in confiscating the drugs. The suspects say they are from New York, Ohio, and Michigan. 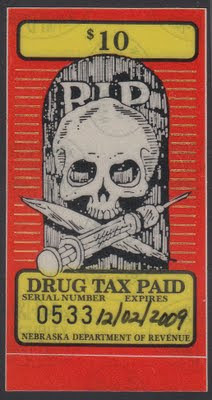 They will be charged with possession with intent to deliver and failing to obtain drug tax stamps. The Ashland police department says this was the largest marijuana seizure in the history of Saunders County. while they don't mention Dana in this story I think this is the bust. Notice the additional charges for not having a "tax stamp" - a tactic originating in the late 80's if memory serves to pile on additional charges. 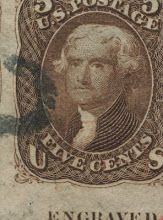 A true Catch-22 - busted if you try and buy the tax stamp. extra charges if you get busted w/o one. Blows me away this hasn't been ruled unconstitutional. Indeed as a denial of equal protection via a RICO scheme to deny civil rights in pursuance of market protection for politically favored commodities based upon junk science that would place MJ together with injected heroin and/or cocaine HCI. (Meanwhile, Nebraska's cigarette tax is 64 cents per pack of 20) - a relative set of policies that owing to the substances' relative effects, subvert public health. Withstood constitutional attack on the grounds of self-incrimination in State v. Garza, 242 Neb. 573. Withstood constitutional attack on the grounds of double jeopardy in State v. Detweiler, 249 Neb. 485. And what about the U.S. Constitution's 8th Amendment prohibition against excessive fines and bails? At $100 per ounce, $1,600 per pound at 150 pounds = $240,000 x 200% = $480,000 penalty fine for this incident, in addition to the state sanctioned theft of the MJ, attorney and bail fees ($50,000 for Beal and $10,000 for Ryan and $10,000 for Statzer representing 10% of $500,000 and $100,000). Under sentencing guidelines, Dana Beal may be facing 10 years to life in prison. Would the jury so find him guilty if they knew what it was all about?